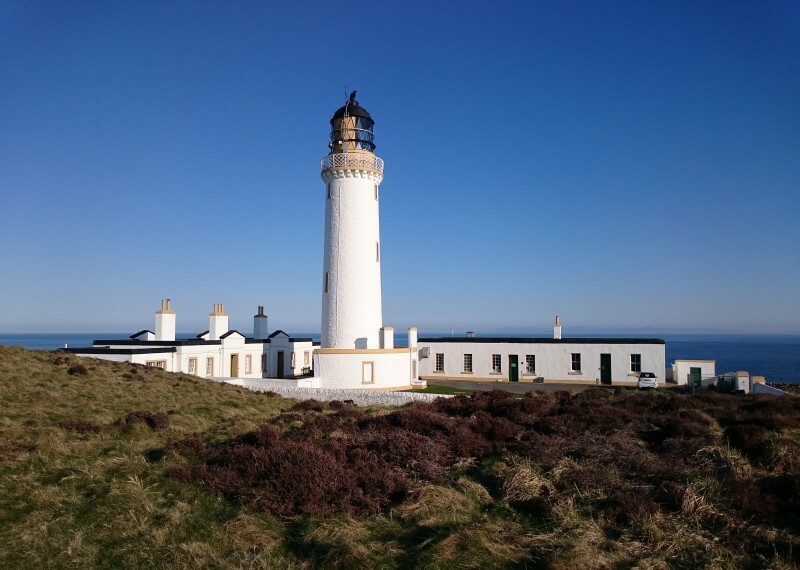 Last week I spent a fantastic 4 days travelling down to The Mull of Galloway via every lighthouse I could find en route. The sun was blazing and the sunsets were magnificent all the way! I also visited the towns of Girvan, Turnberry and lovely Portpatrick, and had a wander round Culzean Castle too. In a snug wee Portpatrick pub last Friday evening, I had the very good fortune to find myself sitting next to a chap called Rab and his wife Kate. Rab just so happens to be the son of a lighthouse keeper, so we spent the whole evening getting acquainted over beer and whiskey and chatting about the various lighthouses he’d grown up in, including Corsewall Head which I’d spent that very afternoon visiting; as well as Tod Head and Kinnaird Head which I’d been at only the week before. 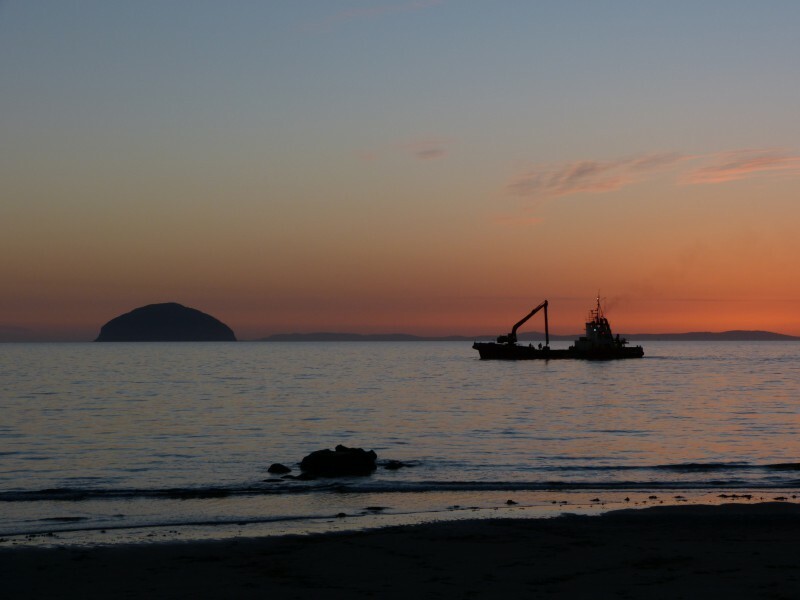 His father also spent 5 years 12 miles out in the North Sea off Arbroath on one of the most famous and notorious reefs on the planet (and my own home lighthouse) The Bell Rock. It turned out to be one of those very serendipitous evenings. Rab now runs an engineering company that is contracted by the Northern Lighthouse Board to maintain some of Scotland’s more remote lighthouses, and he kindly offered me the chance some day to go along with him for the ride on one of his jobs. I will have to earn my keep though, maybe even getting a chance to fling some paint at a ‘real’ lighthouse instead of just at a painting of one! So here are a few of the best photos from the many hundreds I took. 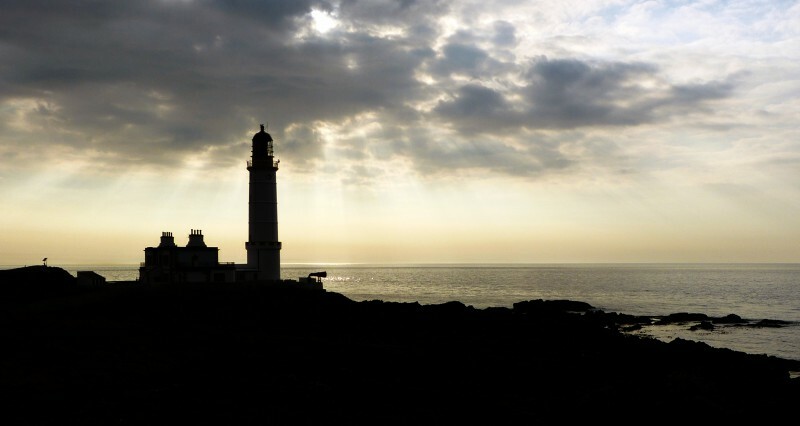 It’s not all about lighthouses though. I got some shots of boats, harbours and birds too. I will be attempting to translate some of these and the many others I’ve been taking into artworks for an exhibition at the end of this year. But, unfortunately, I won’t be doing any of that this week since I sprained my painting hand whilst attempting to show my daughter how not to use her new skateboard! 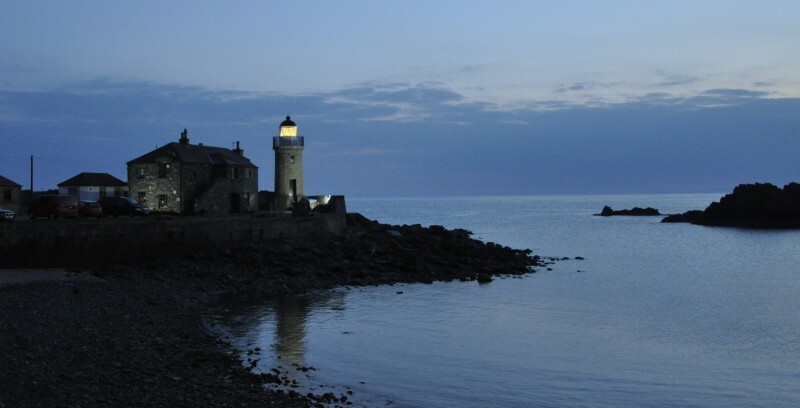 So today I’ll be heading north again to get my campervan’s gearbox fixed in Stonehaven. 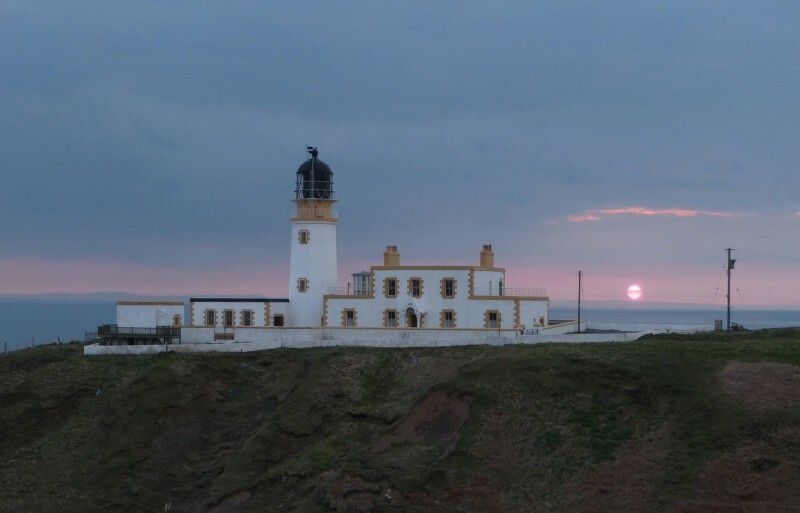 I might even have time to visit Scurdie Ness lighthouse near Ferryden, which just so happens to be up for sale (if you happen to have a spare £360K in your back pocket and always dreamed of owning your own lighthouse!). 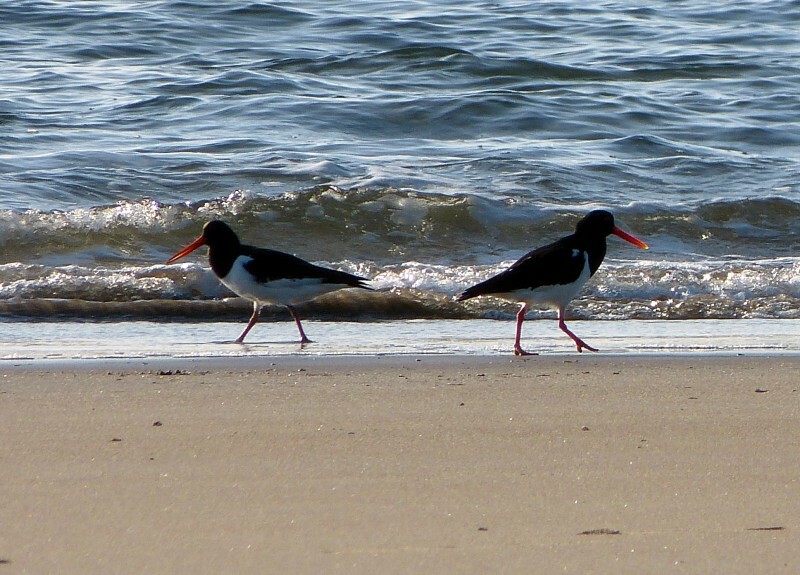 This beach ain’t big enough for the both of us! This entry was posted in New Work and tagged Arran, Art, artist, atmospheric, Ayreshire, Black Isle, boats, Clive Ramage, Cormorant, Corsewall Head Lighthouse, Culzean, drawings, Edinburgh, Edinburgh Art Fair, etching, etchings, exhibition, Ferryden, Fife, fine art, Gallery, Gallery Heinzel, Girvan, harbour, Heinzel, holiday cottage, Ireland, Killintringan Lighthouse, landscape, landscape art, lighthouse, Lighthouse Stevensons, lighthouses, low tide, Marchmont Gallery, mini painting, Morningside Gallery, Muckle Flugga, Mull of Galloway, NLB, oyster catcher, photography, Portpatrick, printmaking, prints, Scotland, Scottish landscape, Scurdie Ness, sunset, sunset Scotland, Turnberry, West Coast on 22nd April 2015 by Clive.